Don't stand a chance against this little girl and her smile when the sun comes out! Such a cutie! I love all that hair! Oh my goodness, she's beautiful! I love the second picture :). Where did you get Miri's blankets? 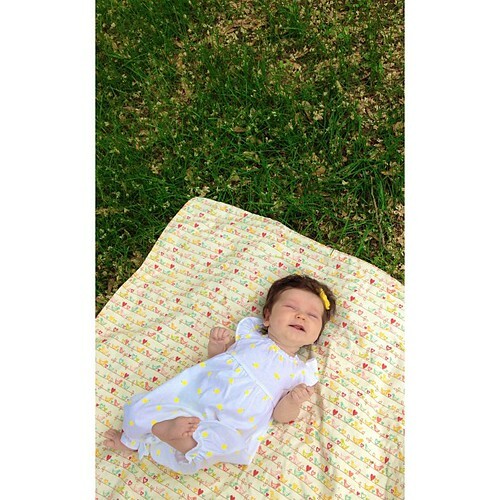 I love the receiving blanket in her birth day shots and this one is too cute too... well not as cute as her! 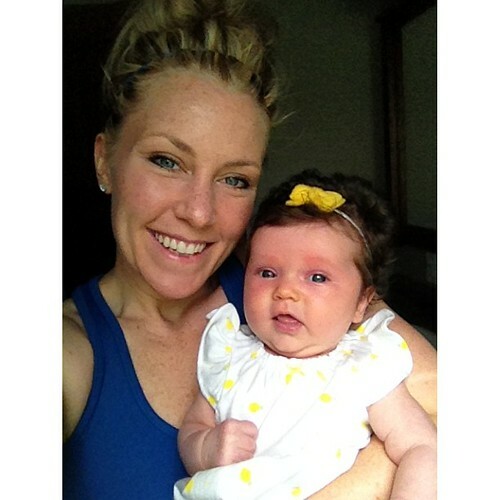 Seriously, Isaac with hair :) Such a beautiful girl; Yellow looks great on her! OMG she is such a cutie pie! i have been following your blog for a long time, but this is my first comment (i think). 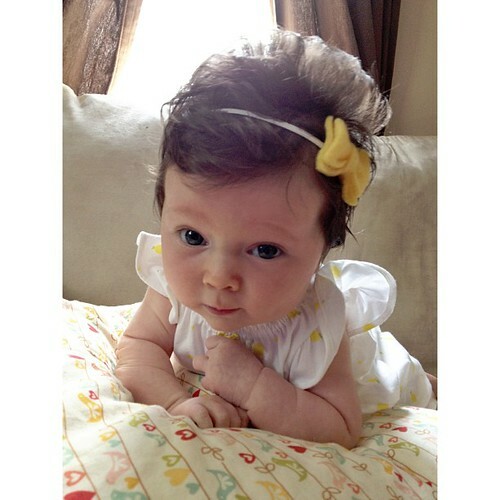 i just have to ask, where do you get the amazing hair bows and head bands for miri? my little girl was born just a few weeks after her with her own head full of hair and i love love love all of miri's hair accessories!